Nearly two years ago I reviewed a Beckley, WV joint named Southern Red's Bar-B-Que. I don't want to beat a dead horse, but my experience wasn't great. Both the food and service sub par. Not so long ago, I received emails from two different individuals regarding my Southern Red's review. Both people told the same general story. Southern Red's was owned and operated by the Seavers until 2007. At that time, the business was sold off and the new owners are responsible for what Southern Red's is today. Thankfully, the story doesn't end there for the Seavers. 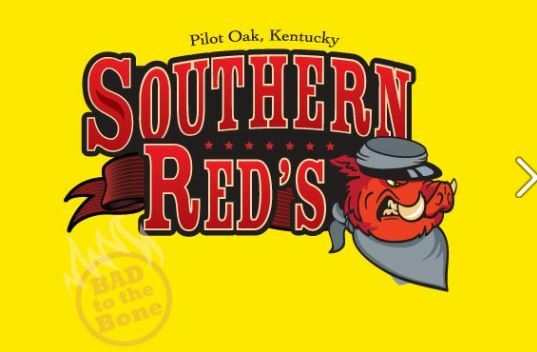 They currently own and operate Southern Red's Bar-B-Que in Pilot Oak Kentucky. While I haven't had the pleasure of visiting, they seem to be thriving. Despite being located in rural Kentucky, their Facebook Page has more than 4,500 likes. They must be doing something right. 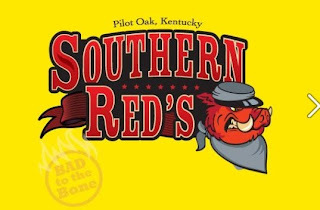 Kim Seavers, one of the people to reach out to The "Q" Review, was kind enough to send me an invitation to visit the Pilot Oak Southern Red's as well as a bottle of their original sauce. Southern Red's Original Bar-B-Que sauce is packaged in 16 oz. bottles. The dark red sauce is on the thin side and pours quickly. This sauce is a ketchup / vinegar base. It contains both white and brown sugar, but is not overly sweet. Southern Red's Original is a mild sauce. While none of the individual flavor elements stick out, it's very well balanced. There is a slight vinegar tang in the finish, but not enough to scare off people with sweet palates. I used the sauce on ribs for a family cookout. Everybody loved the way the sweet, mild sauce complimented the smokey pork ribs. Though relatively thin, the sauce still stuck to the bones and left both racks with a beautiful gloss. Southern Red's Bar-B-Que sauce is a solid, all purpose BBQ sauce. You can serve it to a crowd and expect just about everybody to enjoy it. It was tasty on my homemade BBQ and I hope to get the opportunity to taste it on Southern Red's BBQ in the future. 2 Response to "Southern Red's Original BBQ Sauce"
So glad you got an opportunity to get a small taste of the real Southern Red's. And I very much agree with you their sauce is great for just about anything and is a great sweet and tangy balance so that pretty much everyone will like it!!!! PS. It is great in baked beans too. If you ever get to their location in Pilot Oak, Kentucky, you will not be sorry! Every menu item is absolutely awesome. 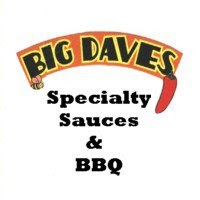 Great ribs, pulled pork, pork chops, everything. I think their steaks are incredible. I buy the sauce to take home as well!